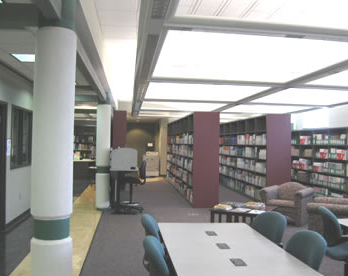 Welcome to the Marshall University South Charleston campus’s Library and Research Commons! We are located on the first floor of the Robert C. Byrd Academic and Technology Center. Our mission is to serve Marshall’s South Charleston based students so we strive to tailor our services to your needs. Whether your study group is looking for a place to meet, or you need assistance with research, we can help in whatever way works best for you – in the library, through Ask A Librarian live chat, or over the phone. We can take you photo for your ID, and offer you a cup of coffee or tea just before class, just come on in! 100 Angus E Peyton Dr.
Monday -- Thursday: 8 a.m. -- 8 p.m.
Friday: 8 a.m -- 4 p.m.